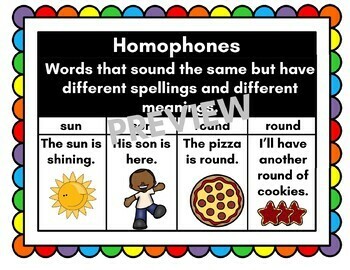 Teach students homophones by using this anchor chart poster. Great visual aid for SPED AND ELL Learners. PLEASE NOTE THIS IS FOR ONE POSTER. -BONUS- BlockPoster PDF of poster in Color and Blackline with BlockPoster tips.